One of my gliders in currently getting ready to have an abscess drained, and I am not able to pick him after (since I was not able to get off from work). The vet is supposed to call and let me know how to tend to the wound but I haven't had the best experience with their opinion lately. I had a glider pass away last week, so I am very scared and nervous. I was just wondering other people's opinions and/or experiences with a abscess wound that was drained. For example, if/how to clean it, does it need to constantly drain, ways to keep the glider comfortable as it heels, or anything else in mind. Please help me with this!! I have messaged someone who has had experience with this. You can clean it a couple times a day with Vetericyn. In the past my vet has sent home a diluted Chlorhexidine solution to flush out the abscess with. Do not use peroxide as it damages the healthy tissue. Your little guy will probably be on antibiotics, just make sure that you give the whole dose for the entire prescribed duration. Where is the abscess located? Please keep us updated on your little one. Hi, Amy. 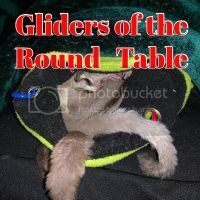 I have dealt with abscesses in gliders several times over the years. You definitely want antibiotics and with gliders' high metabolism, you will generally want to keep giving antibiotics for longer than other animals or humans. I will usually give them for about 3 weeks and my vet is really good about giving me refills if we run out. Some abscesses are really stubborn and will return if the infection is not completely killed with the first round of antibiotics. It is best to have a cultural & sensitivity done when the abscess is drained in order to determine the most effective antibiotics to treat the infection as some infections are resistant to certain antibiotics. If you do not have this done, you should probably get a strong, broad spectrum antibiotic that your vet recommends. I, personally, do not like to give my gliders Baytril and have told vets that, even as they were handing me the bottle. For some reason, Baytril seems to effect gliders' appetite (and one vet told me he has seen it with reptiles, as well). 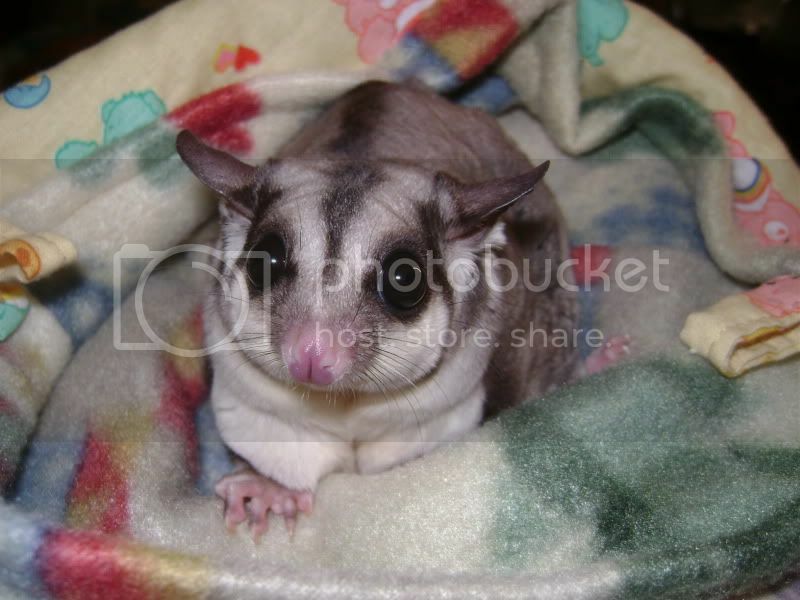 When my gliders are sick, they tend to lose weight and I don't want their antibiotics adding to that. Most likely, the pressure of the abscess was causing the glider pain and that should lessen once it has been drained. I still like to give pain meds for a few days after the incision to drain has been made. If you don't have Vetericyn or a weak-tea solution of iodine and saline - this is something your vet should be able to help with, you can keep the wound clean with plain water. Once you are home with your glider, you will want to make sure the wound stays open to drain. I generally have antibiotics that are to be given twice a day and I will have a routine. I give the antibiotics and then I take a warm, wet cotton ball and apply that to the wound. I hold it there until the wound is open and gently express any pus that has built up. I sometimes go through 3 or 4 cotton balls while doing this. Once this is done, you can apply Vetericyn, if you'd like. At this point, I give treats and plead for forgiveness. They do forgive, thank goodness! In general, I will continue this routine until no pus is present for about a day or two and then I will allow the wound to close, but continue to give antibiotics. Good luck and keep us updated! Also, I am so sorry for your recent loss. I said iodine, when I meant betadine. Sorry about that! Sorry it has taken me a while to update due to the holiday and everything going on. I just want to start off by saying, thank you for your advice and concern. This was my first on here and didn't know what to expect. Last edited by Amy_S; 12/28/16 11:47 AM. I hope everything works out for you and your glider. If you have some time if you could add the vets you used to the vet database for us that would be helpful for others in the future. If they are already in there if you can do a quick review that would also be good. What is Baby Face's normal staple diet? I answered the question to Baby Face's diet in the other post, I thought it fit better with that title.